Each Monday beginning in mid-November, it’s all hands on deck at the Roaring River Hatchery where the five man crew sorts “whoppers” – not the burger kind but 10-pound rainbow trout. Roaring River Hatchery is one of the state’s oldest hatcheries, dating back to 1924 when they began rearing fast growing, extra-large rainbow trout called “Cape Cod Rainbows.” Some fish reach 15 to 20 pounds. “We have them on a scheduled feed diet and feed them aggressively just to get them up to size so they’ll have lots of eggs,” said Luke Allen, the Roaring River Hatchery Manager. The big trout produce up to 10 million eggs each year that are raised at hatcheries across Oregon. In addition, tens of thousands of the eggs also go to hundreds of schools through a special program called “Trout in the Classroom.” Youngsters raise the eggs to fish for release and they learn about fish science and math along the way. Oregon Department of Fish and Wildlife stocks more than one million catchable trout at 96 locations in northwest Oregon. There are scores of area lakes and ponds where the trout fishing is close to home and easy to find. That’s especially true when the small fry take over a place like St Louis Ponds near Woodburn. 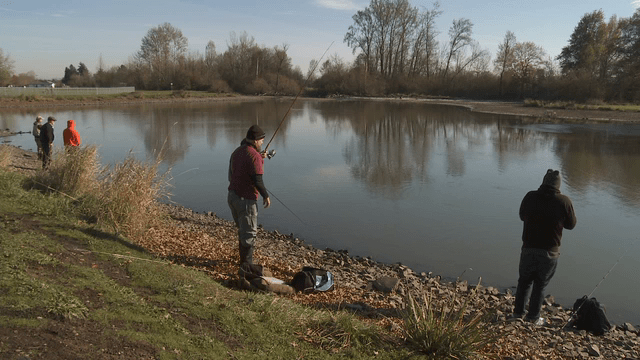 Canby Pond in Clackamas County is stocked year round and it is open to kids, 17 and under or disabled anglers too. In Washington County, be sure to check out Bethany Pond, just outside Beaverton, for another favorite year-round site. Commonwealth Lake in Beaverton offers a neighborhood park that’s kid friendly and ADA-accessible and it is a delightful stop for a picnic lunch as well. If you’re casting about for larger lakes to wet a line, Henry Hagg Lake and Scoggins Valley Park is a delightful destination where trout fishing along the shore or from a boat is most popular pastime. 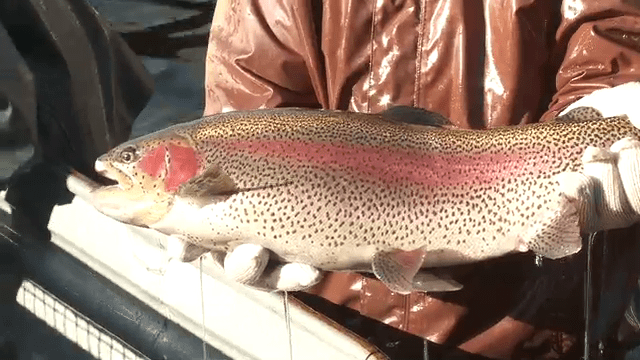 More than a hundred thousand rainbow trout are planted in Hagg Lake. If you’re lucky enough to catch a whopper, you may be wondering what to do with the catch. Longtime angler Birt Hansen said that he fishing adventure doesn’t end when rods are stored away at the end of the day, but continues indoors – in the kitchen. Cole applied a thick coat of yellow mustard across a medium sized filet, followed by lemon juice and then topped with another thick coat of dark brown sugar. The fish was placed in a 350-degree oven for 15-18 minutes and then served alongside salad and sour dough. It was a delicious and unique recipe that didn’t interfere with the fine taste of the fish and Cole beamed at the results: “Yum – if I can do this, anyone can,” he exclaimed. 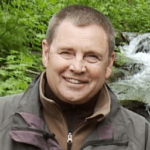 There are two outstanding resource guides that are published by the Oregon Department of Fish and Wildlife for folks who want to learn more about trout fishing that’s close to the Portland area: ODFW’s Outdoor Calendar lists all of the family fishing events by dates and locations, and “50 Places to Go Fishing 60 Minutes From Portland” is a superb resource that provides directions to all of the local lakes and ponds where trout fishing is available. You can pick up a free copy of each at any ODFW District Office or visitor center, or online. In addition, there are hundreds of trout fishing possibilities and one of the best free tools is the ODFW Weekly Recreation Report. “It’s revised by our biologists in the field every week and posted on the website each Wednesday. There are hundreds of water bodies in the state and we identify the fishing conditions in them, right now,” said Sall.